The best thing about the early days of the NBA season is checking in on Giannis Antetokounmpo and discovering how his world-destroying basketball abilities have evolved over the summer. 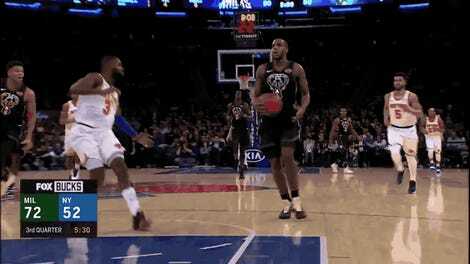 Remember last season, when he came out of the gate playing like Shaq? Well, he’s still doing that—the season is young, but he’s averaging 28 points and 16 rebounds per game. But he’s also doing something new: playing like LeBron. This is Antetokounmpo’s first season under head coach Mike Budenholzer, who is maybe the first non-moron to get his hands on Giannis, and with that new coach has come a contemporary spread offense designed to maximize Antetokounmpo’s full-court assaults on the rim as well as his playmaking abilities. 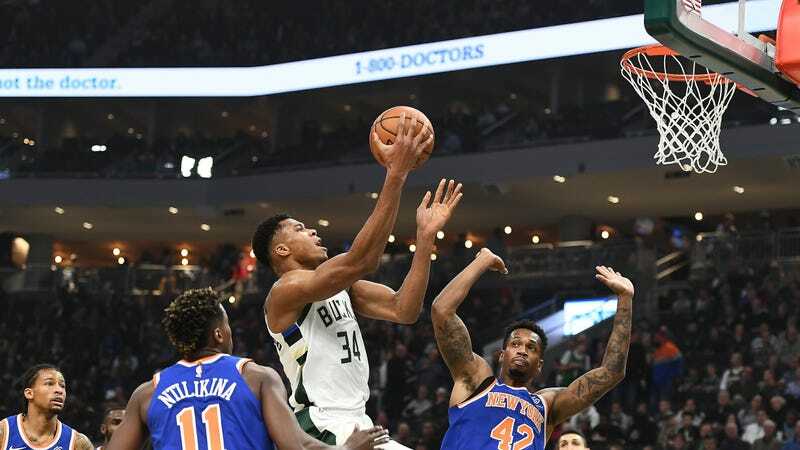 Many Bucks’ possessions now feature Antetokounmpo bringing the ball up the court while his four teammates take up position behind the three-point line, leaving the big freak with acres of space to drive into and kick out of. This has led to some tumescent box scores, including last night’s 32-point, 18-rebound, 10-assist battering of the Sixers. He’s currently averaging a career-high 6.8 assists per game. It might, because that’s what LeBron does. So there you have it: Giannis was Giannis, then he was Point Giannis, then he was Shaq Giannis, and now he is LeBron Giannis. He’s probably going to win the MVP award.